If you have low vision, you may feel vulnerable in public places. Scott Land, a gymnast and rock climber who has retinitis pigmentosa, does. 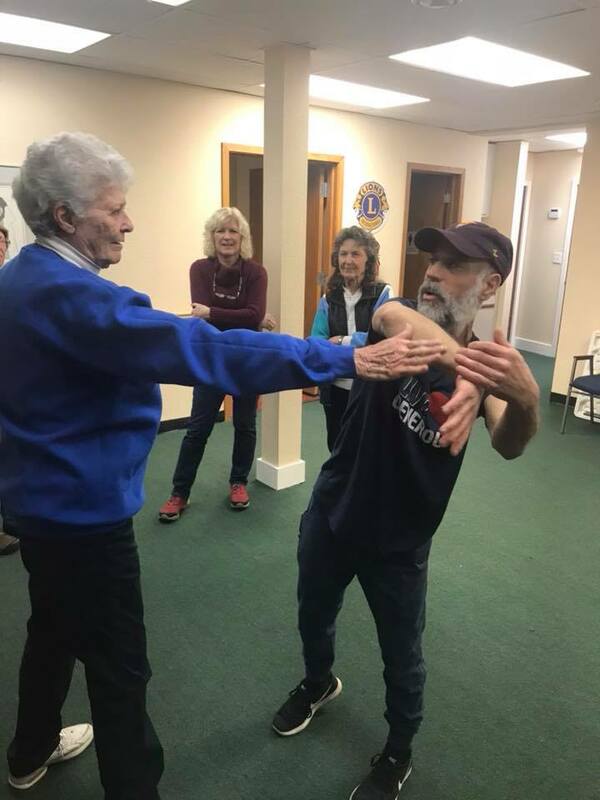 Legally blind since 2000, Scott studied 1TouchTM Self Defense to learn what to do if someone were to attack him, and he is now a teacher sharing 1Touch with Ensight consumers. 1Touch is the first comprehensive self-defense program designed specifically for people with vision impairments. It is a hands-on technique for dealing with aggressive behavior and assaults. The technique involves grabbing an attacker’s arm and keeping a hand on him in order to protect oneself and remain oriented in space. In other words, says Land, it is close-in fighting in which one stays very aware of what is going on and is prepared for what might happen. It teaches people ways to use proprioception, and to get the upper hand in a confrontation. “It’s very empowering, very physical,” says Land. “You develop the mind-body connection, get stronger.” Learning 1Touch inspires some people to eat better because they become interested in being more physically fit, he says. 1Touch consists of several stages in which the person attacked stays in the area, keeps physical contact with the aggressor, assessing the situation and taking control. Participants learn to decide whether or not there is a threat and if someone is trying to take them somewhere. They should have a plan and stand Their ground. In contouring, they follow their attacker’s wrist to the elbow, find the ribcage and throat, then strike the attacker. In the class participants also learn to pay attention to their surroundings, to walk confidently so people are less likely to harass them. “You show an attacker you are not who they think you are: They are more likely to leave you alone,” says Land. In 12 2-hour lessons participants can develop greater independence, self-confidence, tactile sensitivity, social interaction, spatial orientation, mobility and dexterity, communication skills, enthusiasm/self-worth, adapting to vision loss, greater physical and psychological health. A spin off from Ju-jitsu, 1Touch was created by Stephen Nicholls an established Ju-jitsu instructor in London, after he was invited to teach a self-defense workshop at British Guide Dogs. The experience teaching people with vision impairments showed him the need for a comprehensive curriculum for the blind.